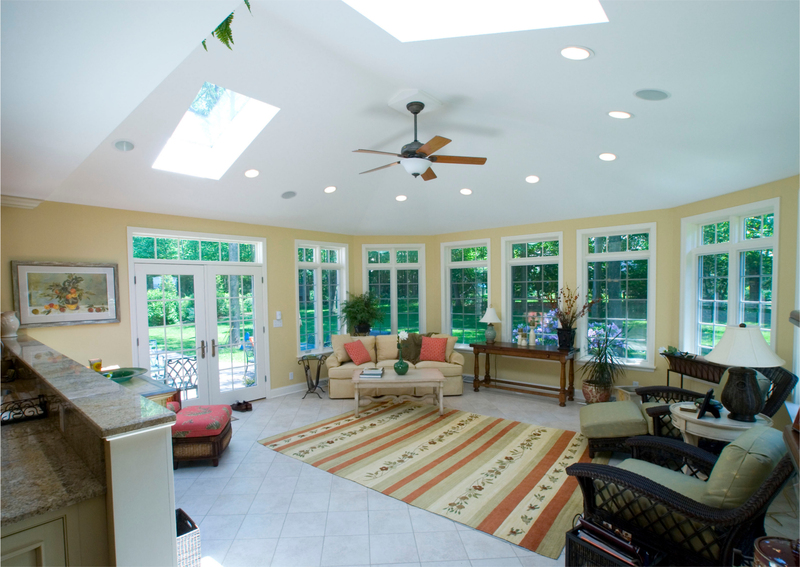 The new sunroom addition featuring five walls and many windows, allowing more light into the home. 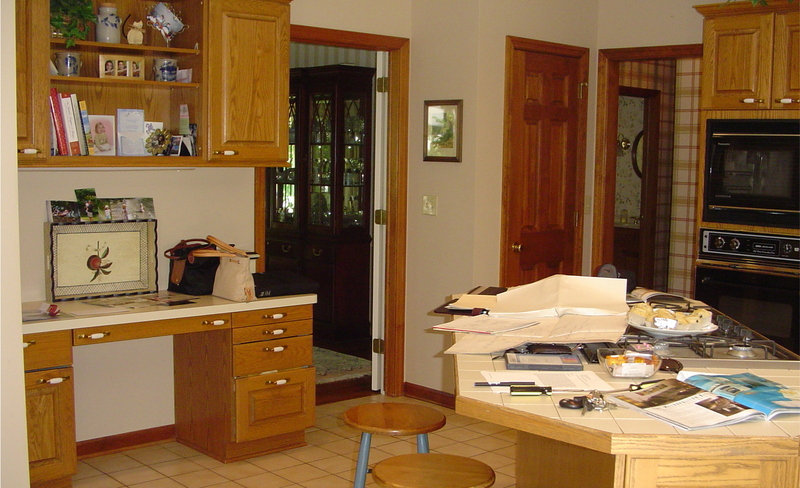 The view from the new sunroom into the kitchen, displaying the space and light that the addition has provided. 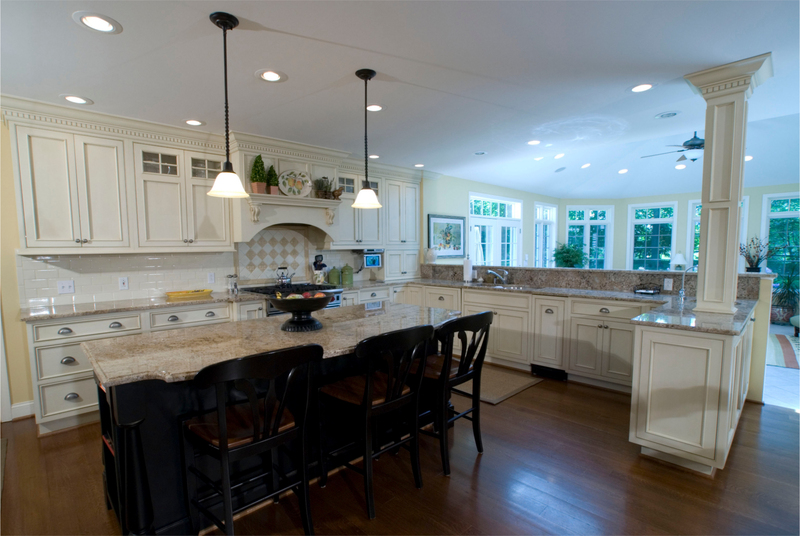 The new, open kitchen with white cabinetry, and recessed lighting. 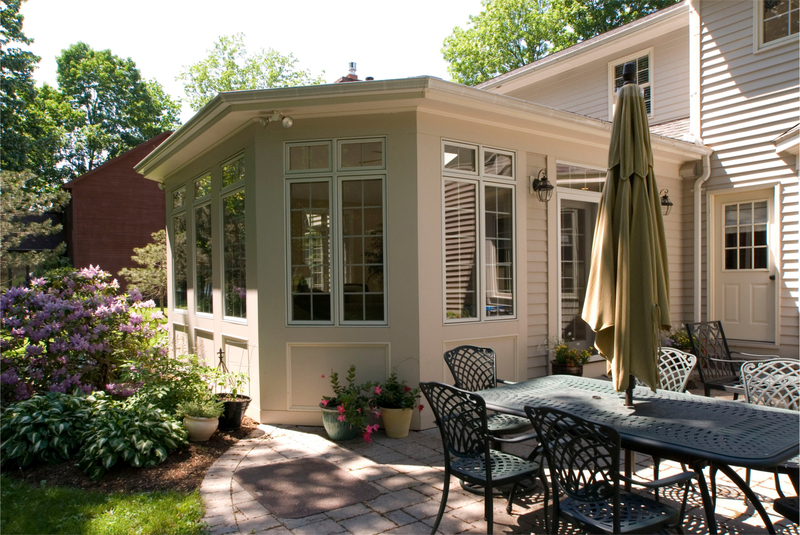 After the new sunroom and surrounding patio was constructed. 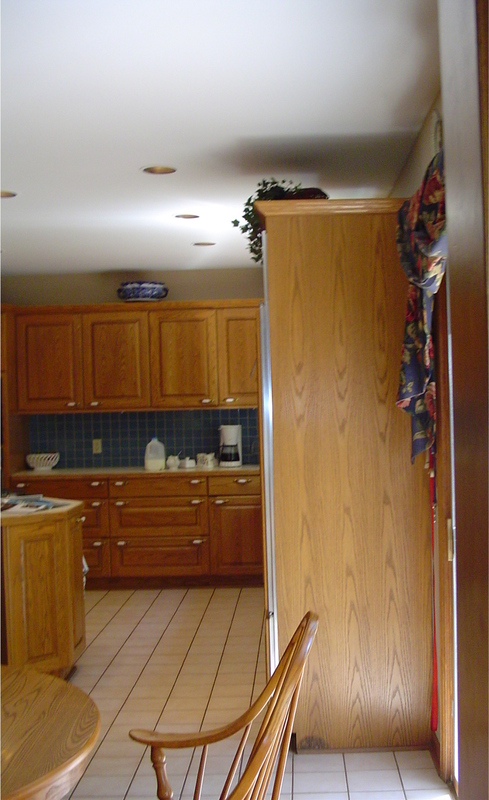 The residents of this home wanted to brighten and open their kitchen to create a more inviting and sun-filled space. 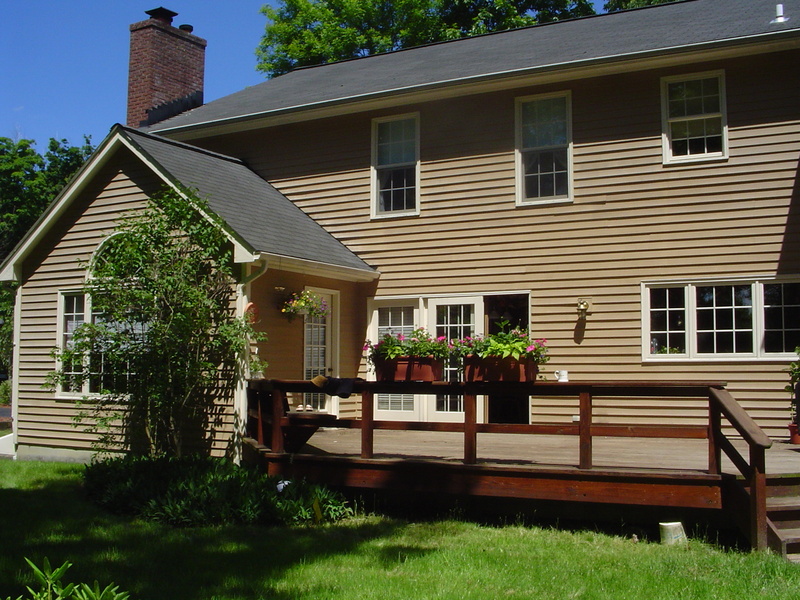 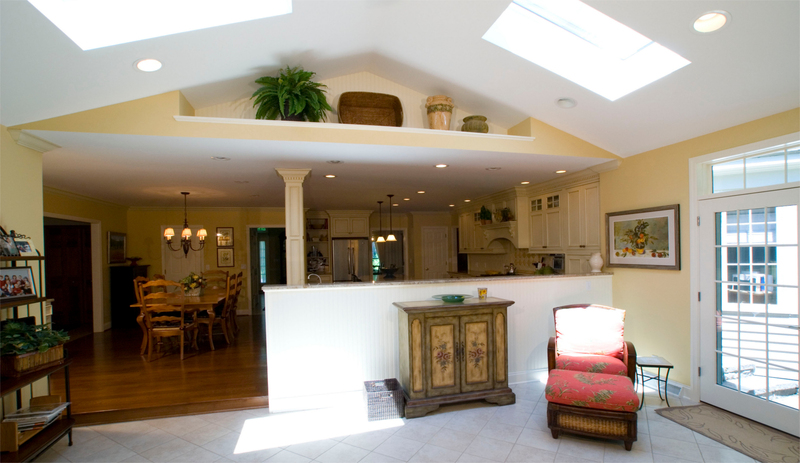 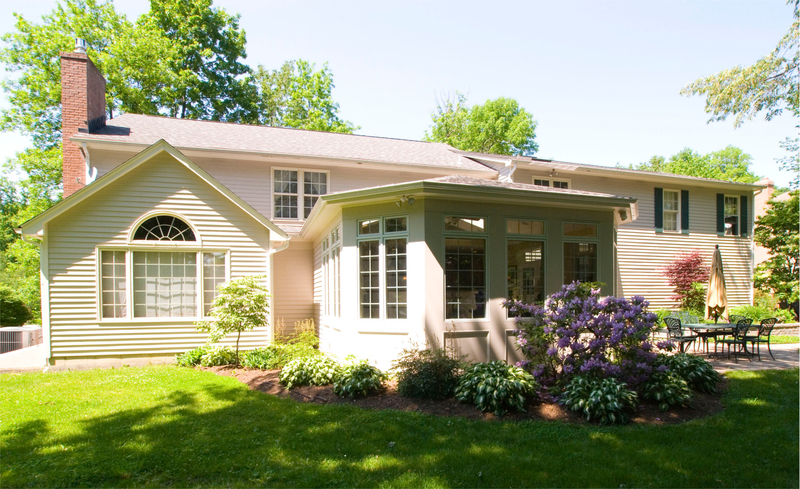 This problem was solved by creating a sunroom addition off of the kitchen with a high, peaked ceiling that allowed air and light to flow freely through the area. 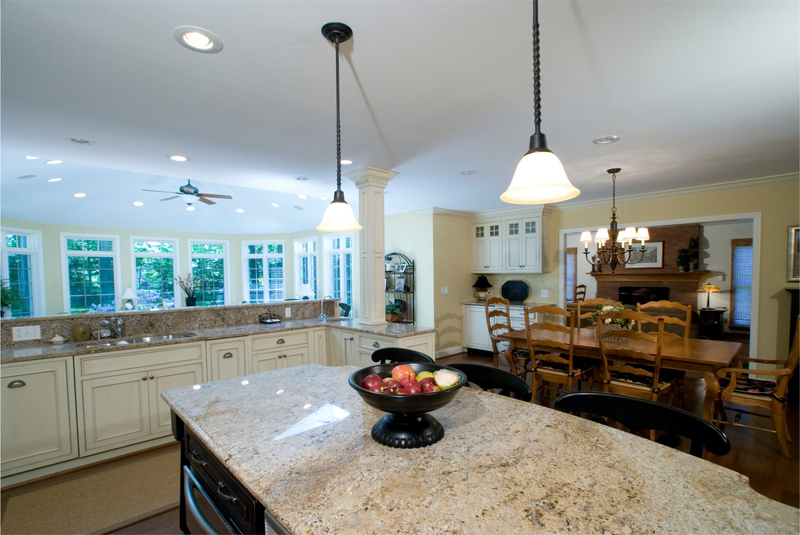 Skylights and updated cabinetry and counters give the sunbathed rooms a warm, clean feel.